After a couple busy days without access to the computer I decided to post this week's Foto Friday on Mother's Day. I have noticed an increase in flower photos and springtime landscapes in the Instagram feed this week and it seemed very feminine and fitting for the holiday. Everyone one seems to be snapping pics of something pastel colored - peonies, denim, smoothies. In that spirit, I picked two photos where wonderful natural light plays a big role in the image. 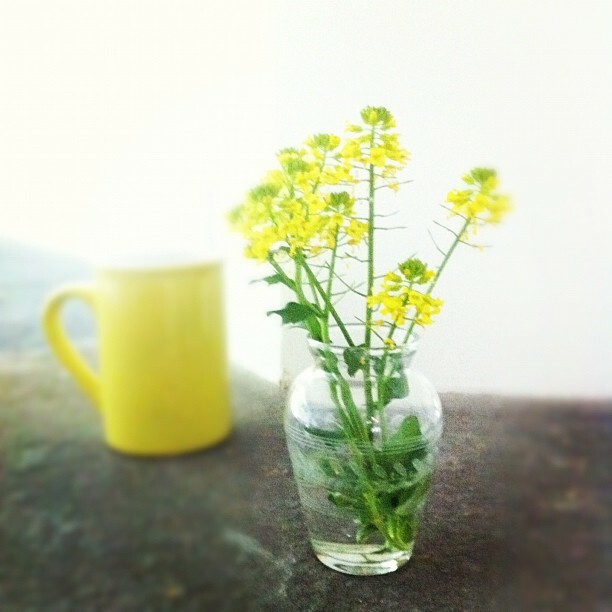 The first is a lovely little wildflower bouquet (that I know my mom and grandmother would love) taken by @athletefood . The second is a photo by Amanda Marsalis (@amandamarsalis) of a bowl of lemons and oranges picked from her yard in LA. Amanda is one of my favorite photographers and I'm so happy to have discovered her on Instagram. I love the California afternoon light streaming onto the fruit. Enjoy and Happy Mother's Day to all of the mom's out there!